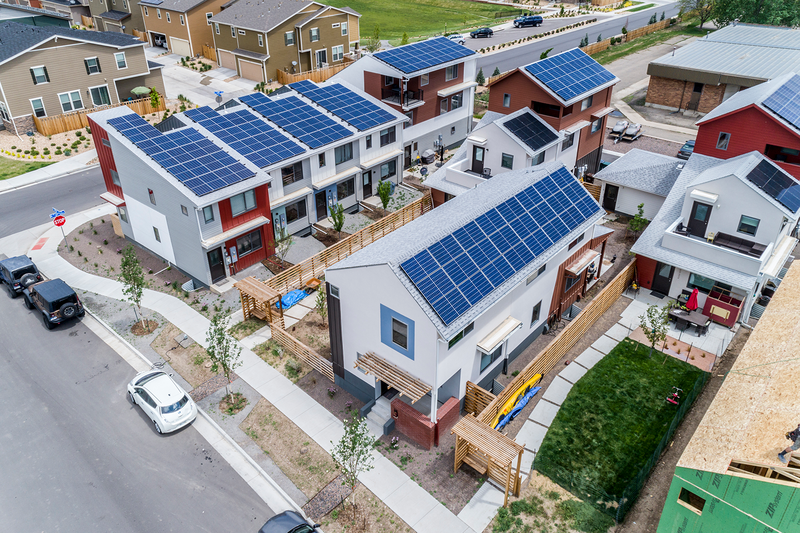 Ralston Creek CoHousing will form a part of the Geos Neighborhood, Colorado’s first geosolardevelopment. 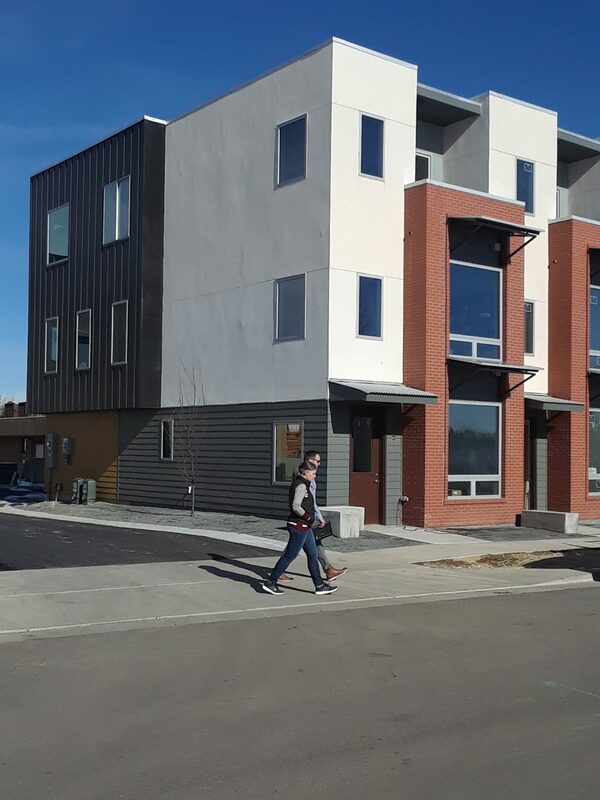 Parts of it have gone up already, and we can’t wait to join the neighborhood as it grows! Geos will celebrate its grand opening on March 5th, ushering in the spring. Arvada luminaries like the mayor and town council will help celebrate. Ralston Creek CoHousing will be there, too. In fact, all the cool kids will be there. The townhouses have the same modern look that all of Geos has. They have solar panels on the roof.